It's in Your Nature! : Welcome to our new blog! 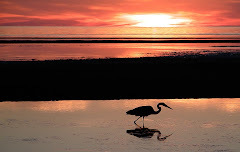 An environmental education blog from the Norman Bird Sanctuary in Middletown, Rhode Island. Hello, from the Norman Bird Sanctuary in beautiful Middletown, Rhode Island! We are still putting the finishing touches on this blog and our new website, but we couldn't wait to begin with this first post. It is an exciting time to be at the Sanctuary right now! Our summer camp recently ended in August, with over 800 campers in grades Pre-K - 8! While we miss the energy of our campers and staff, we're already looking ahead to our first Vacation Camp program, now only a few short days away (Naturally Crafty Camp, on Tuesday, September 9). Our education staff has also been hard at work, preparing for a new season of school and public programs for children, families, and adults. So, thanks for joining us! While we may be new to the blogosphere, we already have so much to share with you - exciting environmental education programs, local conservation issues, bird sightings, and tips for protecting our amazing natural resources! Stay tuned! The Norman Bird Sanctuary is a 300+ acre wildlife refuge featuring scenic hiking trails and education programs for all ages.